Last July a new car ferry service made its maiden voyage across Carlingford Lough; navigating this busy waterway to provide services for tourists, residents and businesses between Greencastle, County Down and Greenore, County Louth. The Scenic Carlingford Ferry represents a successful partnership between the Frazier Ferries, the Carlingford Lough Commission and Warrenpoint Harbour, as well as consultants, contractors and suppliers like ourselves. It’s also significant because the ferry service provides a new cross border transport link, uniting Northern Ireland with the Republic of Ireland. Establishing a new channel for the Carlingford Ferry was not without its challenges. It has taken 10 years to complete this project, although the hold ups have been primarily down to legal challenges. The biggest challenge, however, was to establish a safe channel. Carlingford Lough is busy; the Port at Warrenpoint sees an annual tonnage of 3.48m and 969 vessels. There is also a passenger ferry that operates between Warrenpoint and Omeath during the summer months, as well as numerous vessel movements between the smaller ports and harbours that line the shores of the lough. The lough is popular with tourist and leisure users – as well as industry – with sailing, fishing, boat trips and cruises. Following a consultancy and successful tendering stage, Hydrosphere worked in partnership with all parties involved to find solutions for marking the new channel, as well as a secondary channel that has also been established. The route takes the car ferry across busy shipping channels, so it was essential that navigation aids clearly defined the new channel and caused no confusion for other mariners. Slipways at both ferry ports have fixed steady on lights – the Vega VLB-5 XSS LED self contained navigation light – which boast an optical range of 2 to 4 nautical miles at 0.74T. These solar powered LEDs are highly energy efficient, and owing to their performance, are compact by design. We also installed a Luminell LED search light at Greencastle, to be used in fogging conditions. This light is also solar powered and can be activated on demand using a mobile phone. There were many different parties invested in this project’s success and the launch of the Scenic Carlingford Ferry is a credit to them all. This service saves passengers up to 90 minutes compared to doing the journey on the road, and has a 44 vehicles capacity. The ferry has hourly sailings and operates 364 days of the year. 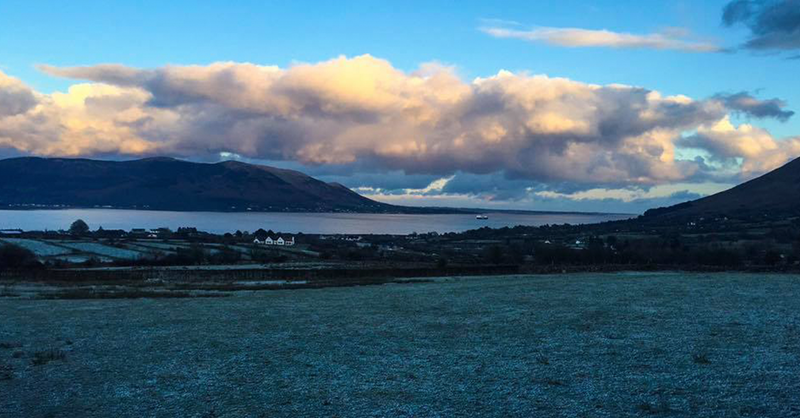 It also takes in some stunning scenery – Carlingford Lough is truly spectacular.